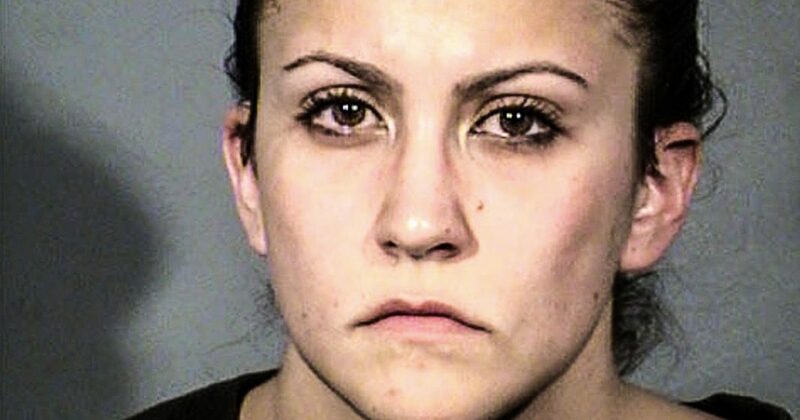 A female police officer in Las Vegas has been arrested and charged with 5 counts of felony misconduct after it was revealed that she forced a mentally ill man to “twerk” for her amusement, among several other things. This case highlights just one of the many problems that we have with our police systems here in the U.S., and something has to be done to get these power-hungry police officers off the streets. Ring of Fire’s Farron Cousins discusses this. In one of the more disgusting stories that we have seen in a very long time. A Las Vegas police officer by the name of Rachel Sorkow was recently arrested on multiple counts of felony misconduct. It seems that officer a sore cow had not only been abusing her power by finding out who her friends and relatives were dating and then going and doing background checks, running license plates, you know, checking their arrest records, seeing if they were arrested, if there were any notes that the arresting officer put in there, uh, which that part of it is something the general public does not have access to. And then feeding that information to her friends and family. So that is a felony abusive power. But the true disgusting thing that officer’s sore count did was that on multiple different occasions she would pull out her cell phone and make prisoners or people who had been arrested make them dance for her or do humiliating things while she filmed it on her phone. One of the people happen to be a mentally ill man and according to the report she made him twerk for her. This is exactly what she said. They have the video. I have not seen the video. It has not been released to my knowledge. Um, here’s what she said. I just want to see you douggie and twerk and then we’re good. He starts dancing and then she says, yeah, get it again. One more time. This was a mentally ill man who had been arrested and she is forcing him for her amusement to dance for her and her friends. Probably to go back and show the video tour, non police officer buddies and say, look what I can do. Look what I can make these people do. I’m so great. I’m so powerful. I’m so wonderful. This woman, Rachel, Sorkow represents everything that is wrong with the American policing system. There are too many officers, sore cows throughout this entire country. And to be honest, compared to what we’ve seen some other officers do, including watching them do it on video, this is actually kind of tame. All she did was make a mentally ill man dance for her amusement. She didn’t shoot him in the back. She didn’t choke him to death. So I guess there’s that, but everywhere we go, and this woman, again, she’s been arrested, five felony counts. She’s going to prison. They have the video evidence. She’s done for too many of these officers that actually do things even worse than what officer sore cow, dead here. There’s still on the force. It just, yeah, you can move to a different precinct to different area, different city, maybe even a state, depending on how bad the thing is that you did or who you killed, but they don’t ever face any kind of real justice and they go on. You know a lot of these officers that we see that commit these atrocious acts, once people start digging, they find, oh, he had a complaint against him here, here, here, here and there, and he was reprimanded and he was put on desk duty for eight months because he screwed something up here. There’s a lot of bad apples out there. There’s a lot of good apples too. I’m not saying all police are awful, but too many times we have seen stories like this are abusing their power. Taking a life when it was 100% not necessary just because they felt like it, because they could because they knew they weren’t gonna face any problems. We have to do better as a country, our police academies, our training systems, whatever it is, you got to start weeding out these people who only want to get a badge on their chest because they need the power trip. Those are the ones who do these things. Those are the ones who get in trouble. Those are the ones who ruin people’s lives. They have to go, and it’s on these institutions that train these people to finally start recognizing them when they enroll and tell them, thanks, but no thanks. We’ve got enough problems with our police forces as it is. 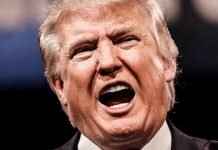 We don’t need another person coming along who very clearly wants to abuse his power for whatever crazy reason they may have. We have to do better. We can do better. At this point, those institutions are just choosing to not do better.